"Gatwick" redirects here. For the neighbourhood in Surrey, see Gatwick, Surrey. "LGW" redirects here. For other uses, see LGW (disambiguation). Gatwick Airport (/ætwk/), also known as London Gatwick (IATA: LGW, ICAO: EGKK), is a major international airport near Crawley in West Sussex, southeast England, 29.5 miles (47.5 km) south of Central London. It is the second-busiest airport by total passenger traffic in the United Kingdom, after Heathrow Airport. Gatwick is the eighth-busiest airport in Europe. Until 2017, it was the busiest single-use runway airport in the world, covering a total area of 674 hectares (1,670 acres). Gatwick opened as an aerodrome in the late 1920s; it has been in use for commercial flights since 1933. The airport has two terminals, the North Terminal and the South Terminal, which cover areas of 98,000 m2 (117,000 sq yd) and 160,000 m2 (190,000 sq yd) respectively. It operates as a single-runway airport, using a main runway with a length of 3,316 m (10,879 ft). A secondary runway is available but, due to its proximity to the main runway, can only be used if that is out of use. In 2018, 46.1 million passengers passed through the airport, a 1.1% increase compared with 2017. As of 2019, Gatwick is the second busiest airport in the world to only operate one runway (after Chhatrapati Shivaji Maharaj International Airport) with a passenger use of 46 million in 2018. The land on which Gatwick Airport stands was first developed as an aerodrome in the late 1920s. The Air Ministry approved commercial flights from the site in 1933, and the first terminal, "The Beehive", was built in 1935. Scheduled air services from the new terminal began the following year. Major development work at the airport took place during the 1950s. The airport buildings were designed by Yorke Rosenberg Mardall between 1955 and 1988. In the 1960s, British United Airways (BUA) and Dan-Air were two of the largest British independent[nb 2] airlines at Gatwick, with the former establishing itself as the dominant scheduled operator at the airport as well as providing a significant number of the airport's non-scheduled services and the latter becoming its leading provider of inclusive tour charter services. Further rapid growth of charter flights at Gatwick was encouraged by the Ministry of Aviation, which instructed airlines to move regular charter flights from Heathrow. Following the takeover of BUA by Caledonian Airways at the beginning of the following decade, the resulting airline, British Caledonian (BCal), became Gatwick's dominant scheduled airline during the 1970s. While continuing to dominate scheduled operations at Gatwick for most of the 1980s, BCal was also one of the airport's major charter airlines until the end of the 1970s (together with Dan-Air, Laker Airways and British Airtours). As a result of conditions imposed by Britain's Monopolies and Mergers Commission on the takeover of BCal by the then newly privatised British Airways (BA) at the end of the 1980s, Dan-Air and Air Europe assumed BCal's former role as Gatwick's dominant scheduled short-haul operator while BA continued in BCal's erstwhile role as the airport's most important scheduled long-haul operator. Following the demise of Air Europe and Dan-Air (both of which had continued to provide a significant number of charter flights in addition to a growing number of scheduled short-haul flights at Gatwick) in the early 1990s, BA began building up Gatwick into a secondary hub (complementing its main hub at Heathrow). These moves resulted in BA becoming Gatwick's dominant airline by the turn of the millennium. BA's subsequent decision to de-hub Gatwick provided the space for EasyJet to establish its biggest base at the airport and to become its dominant airline. BAA Limited (now Heathrow Airport Holdings Limited) and its predecessors, BAA plc and the British Airports Authority, owned and operated Gatwick from 1 April 1966 to 2 December 2009. From 1978 to 2008, many flights to and from the United States used Gatwick because of restrictions on the use of Heathrow implemented in the Bermuda II agreement between the UK and the US. US Airways, Gatwick's last remaining US carrier, ended service from Gatwick on 30 March 2013. This left Gatwick without a scheduled US airline for the first time in 35 years. On 17 September 2008, BAA announced it would sell Gatwick after the Competition Commission published a report about BAA's market dominance in London and the South East. On 21 October 2009 it was announced that an agreement had been reached to sell Gatwick to a consortium led by Global Infrastructure Partners (GIP), who also have a controlling interest in Edinburgh[nb 3] airport, for £1.51 billion. The sale was completed on 3 December. In February 2010, GIP sold minority stakes in the airport of 12% and 15% to the South Korean National Pension Service and the Abu Dhabi Investment Authority (ADIA) for £100 million and £125 million, respectively. The sales were part of GIP's strategy to syndicate the equity portion of the original acquisition by issuing bonds to refinance bank debt. Although this entails bringing additional investors into the airport, GIP aims to retain management control. The Californian state pension fund CalPERS acquired a 12.7% stake in Gatwick Airport for about $155 million (£104.8 million) in June 2010. On 21 December 2010, the A$69 billion (£44 billion) Future Fund, a sovereign wealth fund established by the Australian government in 2006, agreed to purchase a 17.2% stake in Gatwick Airport from GIP for £145 million. This transaction completed GIP's syndication process for the airport, reducing its stake to 42% (although the firm's extra voting rights mean it still controls the airport's board). The airport is owned and operated by Gatwick Airport Limited, a wholly owned subsidiary of Ivy Holdco Limited, owned by Global Infrastructure Partners (GIP), among others. In December 2018, Vinci announced that it would acquire 50.01% majority stake for £2.9bn, with GIP owning the remaining 49.9%. The sale is expected to be completed by the middle of 2019. On 31 May 2008, Virgin Holidays opened the V Room, Gatwick's first lounge dedicated to leisure travellers, for use by Virgin Holidays customers flying to Orlando, Las Vegas and the Caribbean on sister airline Virgin Atlantic. On 25 January 2017, the lounge moved to the North Terminal together with the Virgin Atlantic Clubhouse as part of the airline moves that saw British Airways and Virgin Atlantic exchange their previous terminal locations and EasyJet consolidated in the North Terminal. On 9 April 2009, an independent pay-for-access lounge, No.1 Traveller, opened in the South Terminal. Gatwick has a conference and business centre, and several on- and off-site hotels ranging in class from executive to economy. The airport has Anglican, Catholic and Free Church chaplains, and there are multi-faith prayer and counselling rooms in each terminal. A daily service is led by one of the chaplains. The Civil Aviation Authority Safety Regulation Group is in Aviation House. WesternGeco, a geophysical services company, has its head office and EuropeAfricaRussia offices in Schlumberger House, a 124,000 sq ft (11,500 m2) building on the airport grounds near the South Terminal. The company had a 15-year lease on the building, scheduled to expire in June 2008. In 2007, WesternGeco reached an agreement with its landlord, BAA Lynton, extending its lease to 2016 at an initial rent of £2.1 million. Fastjet has its registered and head offices at Suite 2C in First Point at the airport. Before the sale, BAA planned an £874 million investment at Gatwick over five years, including increased capacity for both terminals, improvements to transport interchange and a new baggage system for the South Terminal. Passengers passing through the airport are informed about the redevelopment programme with large mobile barcodes on top of construction hoardings. Scanning these transfers information on the construction to the user's smartphone. In summer 2013, Gatwick introduced Gatwick Connect, a free flight connection service to assist passengers changing flights at Gatwick whose airlines do not provide a full flight connection service. At a Gatwick Connect desk in the baggage reclaim hall in each terminal, passengers can confirm their details or leave their bags for onward flights if already checked in online. As of mid-September 2015, the service is branded "GatwickConnects". It is available to passengers arriving on any airline who have an onward flight connection on Aer Lingus, Air Europa, Air Italy, Aurigny, British Airways, Cathay Pacific, EasyJet, Flybe, Norwegian Air Shuttle, TAP Portugal, Thomas Cook Airlines, TUI Airways, Virgin Atlantic, WestJet or WOW air. On 15 September 2015, the airport launched a service enabling passengers to book connecting flights involving a change of aircraft at Gatwick, where airlines do not provide a full flight connection service, in a single transaction at a lower cost (compared with the total cost when each flight is booked separately). It includes a guarantee to safeguard connections and make alternative arrangements for passengers who miss their connection in the event of their flight being delayed or cancelled. Gatwick claims this to be a world-first. This service is marketed under the "GatwickConnects" brand and is bookable through Dohop, Kayak, Momondo and Skyscanner. As of late 2016, it is available to passengers flying with Aer Lingus, Air Europa, EasyJet, Norwegian Air Shuttle, TAP Portugal and WOW air. On 13 September 2017, EasyJet launched "Worldwide by EasyJet", a flight connection service bookable on the airline's website to assist passengers transferring at Gatwick from one EasyJet flight to another, as well as passengers transferring at the airport between separate EasyJet, Norwegian Air Shuttle and WestJet flights. This service uses a new Easyjet technology platform, requires a minimum connecting time of two hours and 30 minutes and utilises the airport's existing "GatwickConnects" free flight connection service to transfer passengers' baggage between flights. Where connections are missed, it also includes a guarantee to rebook passengers on the next available flight. On 28 September 2017, EasyJet announced that Aurigny was among four additional airlines it had signed up to "Worldwide by EasyJet". The addition of Aurigny and Thomas Cook Airlines enables both of these airlines' passengers to book flight connections with EasyJet, Norwegian Air Shuttle and WestJet via Gatwick on EasyJet's website using the "Worldwide by EasyJet" distribution service in conjunction with the airport's "GatwickConnects" flight connection service. Since October 2018, Virgin Atlantic, Air Transat, Emirates and Cathay Pacific have joined the scheme as new connections airline partners at the airport. Gatwick operates as a single-runway airport although it has two runways; the northern runway (08L/26R) can only be used when the main runway (08R/26L) is out of use for any reason. The UK Integrated Aeronautical Information Package gives the Takeoff Run Available (TORA) of its main runway (08R/26L) as 3,255 m when aircraft take off in a westerly direction (26) and 3,159 m when takeoffs occur in an easterly direction (08). The documentation lists the respective TORA for the northern runway (08L/26R) as 2,565 m in both directions. Nearly three-quarters of takeoffs are towards the west (74% over a 12-month period). Both runways are 148 ft (45 m) wide; they are 656 ft (200 m) apart, which is insufficient for the simultaneous use of both runways. During normal operations the northern runway is used as a taxiway, consistent with its original construction (although it was gradually widened). In October 2018, the airport announced that it was "exploring how to make best use of its existing runways, including the possibility of bringing its existing standby runway into routine use". One scenario would see 08L/26R used for departing narrow-body aircraft only, while the longer 08R/26L would be used for wide-body take-offs and all landings; widening 08L/26R would also increase the centreline separation slightly. New technology could also be used to increase capacity on the main runway, and in the longer term the airport remains interested in constructing a new runway to the south. The main runway uses a Category III Instrument Landing System (ILS). The northern runway does not have an ILS; when it is in use, arriving aircraft use a combination of distance measuring equipment and assistance from the approach controller (using surveillance radar) or (where equipped, and subject to operator approval) an RNAV (GNSS) approach (also available for the main runway). On both runways, a continuous descent approach is used to minimise the environmental effects of incoming aircraft, particularly at night. The airport is policed by the Gatwick District of Sussex Police. The district is responsible for the entire airport (including aircraft) and, in certain circumstances, aircraft in flight. The 150 officers attached to this district include armed and unarmed officers, and community support officers for minor offences. The airport district counters man-portable surface-to-air missiles (MANPADS) by patrolling in and around the airport, and a separate sub-unit has vehicle checks around the airport. Access to airside portions of the airport is controlled and maintained by the airport's team of security officers, regulated by the Department for Transport. Brook House, an immigration-removal centre of Immigration Enforcement, was opened near the airport on 18 March 2009 by the then Home Secretary Jacqui Smith. The airport is a base for scheduled airlines British Airways (BA), EasyJet, Norwegian Air Shuttle and Virgin Atlantic and charter operators such as Thomas Cook Airlines and TUI Airways. Gatwick is unique amongst London's airports in its representation of the three main airline business models: full service, low-cost and charter. As of October 2016, these respectively accounted for 26.6%,[nb 4] 61.3%[nb 4] and 13.1%[nb 5] of Gatwick's seat capacity. EasyJet, BA and Norwegian are Gatwick's three biggest resident airlines. According to data from Airport Coordination Limited, these three airlines respectively accounted for 43.3%, 19% and 10.5% of airport slots in April 2018. According to this data, by April 2018 Norwegian had overtaken Virgin Atlantic as Gatwick's number one transatlantic airline by seat capacity, and BA's competitive response to Norwegian's growing commercial threat to its transatlantic business would result in Virgin's relegation to third position among the airport's transatlantic airlines during the 2018 summer timetable period. EasyJet, BA and Norwegian collectively accounted for 65.43% of Gatwick's total passengers in 2016 (EasyJet: 40.37% / 17.4 million; BA: 14.39% / 6.2 million; Norwegian: 10.67% / 4.6 million). As per Official Airline Guide (OAG) data for the week of 29 May 2017, their respective international departure seat capacity shares at the airport for summer 2017 are: 42.1%, 15.4% and 9.4%. In terms of passengers carried, EasyJet and BA were also among the five largest airlines operating at Gatwick in 2010 (which also included TUI Airways and Thomas Cook Airlines at the time) and the top 10 in 2015. In terms of total scheduled airline seats at Gatwick in 2014, EasyJet accounted for 18.36 million, more than two-and-a-half times as many as second-placed BA (seven million) and nearly five times the number offered by third-placed Norwegian Air Shuttle (3.74 million). Using data sourced from the OAG Schedules Analyser, the following changes in the respective departure seat capacity shares of Gatwick's three biggest airlines occurred from 2010 to 2015: EasyJet's share increased from 26.1% in 2010 to 42.1% in 2015; BA's share dropped from 18.3% in 2010 to 15% in 2015; Norwegian's share rose almost three-fold from less than 3% in 2010 to 8.3% in 2015. EasyJet, BA, Norwegian, TUI Airways, Ryanair, Thomas Cook Airlines, Monarch Airlines, Virgin Atlantic, Vueling and Emirates were Gatwick's top 10 airlines by share of passengers in 2017. By 2008, Flybe was Gatwick's third-largest airline (accounting for 9% of its slots) and its fastest-growing airline. It became the airport's largest domestic operator, carrying 1.2 million passengers in its 201112 financial year on eight routes to destinations in the UK, the Channel Islands and the Isle of Man. [nb 6] In March 2013, the airline announced that it would end operations at Gatwick, citing unsustainably high airport charges and increases in UK Air Passenger Duty. Flybe sold its 25 pairs of daily slots[nb 8] at the airport to EasyJet for £20 million. The latter's share of Gatwick slots increased to 44% in summer 2014; second-placed BA has held about 16% of the airport's slots since 2010. Following the sale of its Gatwick slots to EasyJet, Flybe continues to provide the scheduled service between Gatwick and Newquay, as a result of being awarded the contract to fly this route under a four-year Public Service Obligation (PSO). The EUUS Open Skies Agreement, which became effective on 30 March 2008, led a number of airlines to downsize their transatlantic operations at Gatwick in favour of Heathrow. Continental Airlines was the second transatlantic carrier (after American Airlines) to leave Gatwick after its decision to transfer the seasonal Cleveland service to Heathrow on 3 May 2009. Slots left by the US carriers (and the collapse of Zoom, XL Airways UK and Sterling) were taken by EasyJet, Flybe, Norwegian Air Shuttle and Ryanair. A number of full-service airlines have established or resumed operations at the airport, including Aeroflot, Cathay Pacific, Qatar Airways, Swiss International Air Lines and Turkish Airlines. This is part of the airport's strategy to attract higher-spending business travellers (countering its dependence on European low-cost and charter markets), increasing year-round capacity utilisation by smoothing peaks and troughs in traffic. Gatwick's success in persuading these airlines to launch (or re-launch) routes to overseas destinations important for business and leisure travel was aided by a lack of comparable slots at Heathrow. On 16 June 2015, it was announced that Canadian airline WestJet would begin flights to Gatwick in the spring of 2016. This was followed by an announcement on 25 June 2015 by Air Canada Rouge that it would begin a seasonal service from Gatwick to Toronto on 20 May 2016. On 20 April 2017, Norwegian Air Shuttle announced its first long-haul route operated by Norwegian Air UK from Gatwick to Singapore. Gatwick's original terminal, the Beehive, is included within the City Place Gatwick office complex together with 1, 2 and 3 City Place. The complex was developed by BAA Lynton. A number of airlines have had offices at the Beehive, including BEA/British Airways Helicopters, Jersey Airlines, Caledonian Airways, Virgin Atlantic and GB Airways. Other airlines which had headquarters on airport property (including office buildings on the site of, or adjacent to, the original 1930s airport) include British Caledonian, British United Airways, CityFlyer Express, Laker Airways and Tradewinds Airways. Situated to the north-west of the airfield near the village of Charlwood, there is a museum including original items and photographs from Gatwick's history, as well as a variety of military aircraft. It is open Friday, Saturday and Sunday all year round. The airport has two terminals, South and North. Both have shops and restaurants landside and airside, and all areas are accessible to disabled passengers. There are facilities for baby changing and feeding. Business travellers have specialised lounges. The North and South Terminals are connected by a 0.75-mile (1.21 km), elevated, two-way automated people mover landside. They are not connected once past security. The official opening of the central and main pier of what is now the South Terminal, with 11 aircraft stands, was on 9 June 1958. Gatwick was one of the world's first airports with an enclosed pier-based terminal, which allowed passengers to walk under cover to waiting areas near the aircraft (with only a short walk outdoors). Another feature of Gatwick's new air terminal was its modular design, permitting subsequent, phased expansion. As part of a seven-year strategic commercial partnership between Gatwick and EasyJet, the airport proposed a number of changes to individual airlines' terminal locations. These would see EasyJet consolidate all its Gatwick operations in the North Terminal, while British Airways and Virgin Atlantic would swap their terminals. Gatwick believes that these terminal moves improve the airport's operational efficiency and resilience, as the use of different terminals by EasyJet and British Airways reduces pressure on the North Terminal's check-in, security, boarding and ramp areas at peak times. In addition, a terminal swap by Virgin frees up lounge and gate space for BA long-haul passengers in the South Terminal and, unlike BA's current short-haul schedules, Virgin's long-haul schedules do not clash with EasyJet's busy schedule in the North Terminal due to the airlines' differing peak times. It was confirmed in January 2015 that British Airways would move all its flights to the South Terminal in November 2016 while all EasyJet flights will be consolidated in the North Terminal at the same time. However it was decided in February 2016 to postpone the agreed relocation of airlines until 25 January 2017, to avoid operational disruptions over the 201617 Christmas season and to give all parties involved enough time to deal with any unforeseen issues ahead of the February 2017 half-term holidays. The relocation of these airlines was accomplished by the revised date on 25 January 2017. ^1 Iraqi Airways' flights between Gatwick and Baghdad stop in Malmö. However, the airline does not have the rights to transport passengers solely between Gatwick and Malmö. ^2 Rwandair's flights between Gatwick and Kigali stop in Brussels. However, the airline does not have the rights to transport passengers solely between Gatwick and Brussels. In 2015, Gatwick became the first single-runway airport to handle more than 40 million passengers annually. By 2016, EasyJet accounted for over 40% of Gatwick's total passengers. When ranked by global passenger traffic, Gatwick is 35th busiest internationally and the eighth busiest airport in Europe. Gatwick is the world's leading low-cost airport and until March 2017 had the world's busiest single-use runway,[nb 9] with a maximum of 55 aircraft movements per hour. The busiest routes to and from London Gatwick during 2018 are listed in the following table. Gatwick handled 186,172 passengers during its first seven months of operation after the 195658 reconstruction; the annual number of passengers passing through the airport was 368,000 in 1959 and 470,000 in 1960. Passenger numbers reached one million for the first time during the 196263 fiscal year,[nb 10] with British United Airways (BUA) accounting for four-fifths. The 1.5 million mark was exceeded for the first time during the 196667 fiscal year. [nb 11] This was also the first time more than half a million scheduled passengers used the airport. Gatwick accommodated two million passengers for the first time during the 196768 fiscal year[nb 12] and three million in the 196970 fiscal year,[nb 13] with BUA accounting for nearly half. By the early 1970s, 5 million passengers used Gatwick each year, with a record 5.7 million during the 197374 fiscal year. [nb 14] During that period, British Caledonian accounted for approximately half of all charter passengers and three-fourths of scheduled passengers. Within a decade annual passenger numbers doubled, to 10 million; they doubled again, to over 20 million, by the late 1980s. By the turn of the millennium, Gatwick handled more than 30 million passengers annually. 46.1 million passengers passed through Gatwick in 2018, an increase of 1.1% over the previous year. North Atlantic and other long-haul[nb 18] traffic recorded increases over the previous year of 24.4% and 12.7% to 4.04 million and 4.65 million passengers, respectively. UK[nb 19], European charter[nb 20], Irish and European scheduled passenger traffic recorded decreases over the previous year of 8.7%, 5.7%, 1.1% and 0.9% to 3.73 million, 2.88 million, 1.67 million and 29.11 million, respectively. Air transport movements decreased by 0.7% to 283,926. Cargo volume increased by 16.1% to 112,676 metric tonnes. Compared with a year earlier, December 2018 passenger numbers decreased by 0.4% to 3.158 million (an decrease of 12,700 over December 2017). The following changes were recorded amongst individual passenger traffic categories: North Atlantic traffic +10.9% (268,800 passengers); other long-haul[nb 18] traffic +3.2% (428,200 passengers); Irish traffic -9.9% (129,100 passengers); UK[nb 19] traffic -3.8% (287,900 passengers); European charter[nb 20] traffic -3.4% (212,000 passengers) and European scheduled traffic -1% (1.832 million passengers). Air transport movements decreased by 0.4% to 20,407. Cargo volume decreased by 6% to 9,254 metric tonnes. While the slight decrease in overall traffic was caused by severe operational disruptions due to drone sightings close to the airport perimeter and over the airfield between 19 December 2018 and 21 December 2018, the 6.1% increase in long-haul passenger traffic was driven by additional passengers travelling to and from Las Vegas (+50.3%), Tampa (+50.1%), Fort Lauderdale (+30.7%) and Orlando (+19.2%). Gatwick has set goals of 40% public transport use by the time annual passenger traffic reaches 40 million (in 2015) and 45% by the time it reaches 45 million. The airport is accessible from a motorway spur road at junction 9A of the M23, which links to the main M23 motorway 1 mile (1.6 km) east at junction 9. The M23 connects with London's orbital motorway, the M25, 9 miles (14 km) north; this provides access to much of Greater London, the South East and beyond, and the M23 is the main route for traffic to the airport. Gatwick is also accessible from the A23, which serves Horley and Redhill to the north and Crawley and Brighton to the south. The A217 provides access northwards to the town of Reigate. The airport has long- and short-stay car parks at the airport and off-site, although these are often full in summer. Local restrictions limit parking at (and near) Gatwick. The airport railway station, next to the South Terminal, provides connections along the Brighton Main Line to Victoria and London Bridge stations in London and Brighton, Worthing, Eastbourne, Portsmouth, Chichester and Bognor Regis to the south. Although the Gatwick Express to Victoria (operated by Southern) is the best-known service from the station, other companies (including Thameslink and Great Western Railway) also use the station and Southern services Victoria and London Bridge under its own name. Thameslink provides direct trains to Luton Airport; Great Western Railway trains directly link Gatwick Airport with Guildford and Reading for onwards connections to Oxford, Bristol, Plymouth and Cardiff. Pedestrians may reach Heathrow by a X26 Express Bus outside East Croydon station, an intermediate stop for rail service to London. London Oyster Cards and contactless cards have been accepted on all rail routes from Gatwick Airport into London since January 2016. National Express Coaches operates coaches to Heathrow Airport, Stansted Airport and cities and towns throughout the region and country. Oxford Bus Company operates direct services to Oxford, and EasyBus operates mini-coaches from both terminals to Earls Court and West Brompton. Local buses connect the North and South Terminals with Crawley, Horley, Redhill, Horsham and Caterham. Services are offered by Metrobus and Fastway, a partly guided bus rapid transit system which was the first of its kind to be built outside a major city. Route 21 of the National Cycle Network passes under South Terminal, allowing virtually traffic-free cycling northwards to Horley and southwards to Three Bridges and Crawley. A goods-style lift runs between the terminal and ground level (labelled "Lift to Cycle Route"), near Zone L.
The airport's North and South Terminals are connected by a 0.75 miles (1.21 km), elevated, two-way automated people mover track. The transit shuttle normally consists of two automatic, three-car, driver-less trains. Although colloquially known as a "monorail", the shuttle runs on a dual, concrete track with rubber tyres and is not (technically) a monorail. The transit is ground-side, and besides linking the two terminals also serves to link the North terminal to the airport railway station. The shuttle opened in 1987, along with the North Terminal, and initially used Adtranz C-100 people-mover cars which remained in operation until September 2009, by which time they had travelled a total of 2.5 million miles (4 million km). Gatwick began upgrading its shuttle service in April 2008, with a bus replacement service in place from September 2009. A new operating system and shuttle cars (six Bombardier CX-100 vehicles) was installed, and the guideway and transit stations were refurbished at a total cost of £45 million. The system re-opened on 1 July 2010, two months ahead of schedule; it featured live journey information and sensory technology to count the number of passengers at stations. An earlier transit system, that opened in 1983 to link the main terminal (now the South Terminal) to the (then new) circular satellite pier, was the UK's first automated people-moving system. This system has since been replaced by a walkway-and-moving walkway link, although the remains of the elevated guideway are still visible. Gatwick has been included in a number of reviews of airport capacity in southeastern England. Expansion options have included a third terminal and a second runway, although a 40-year agreement not to build a second runway was made in 1979 with West Sussex County Council. Expanded operations would allow Gatwick to handle more passengers than Heathrow does today, with a new terminal between two wide-spaced runways. This would complement or replace the South Terminal, depending on expected future traffic. Airport management's proposal for a second runway (south of the existing runway and airport boundary) were unveiled in July 2013. This was shortlisted for further consideration by the Airports Commission in December 2013, and the commission's final report was published in July 2015. Another proposal would extend the North Terminal south, with a passenger bridge in the area currently occupied by aircraft stands without jet bridges. Gatwick's draft master plan (released for consultation on 13 October 2011) apparently dropped the passenger-bridge plan in favour of a mid-field satellite (next to the control tower) linking to the North Terminal as part of an expanded 2030 single-runway, two-terminal airport. In late 2011, the Department for Transport (DfT) also began a feasibility study for a high-speed rail link between Gatwick and Heathrow as part of a plan combining the airports into a "collective" or "virtual hub", Heathwick. The scheme envisages a high-speed rail route parallel to the M25, covering 35 miles (56 km) in 15 minutes. Trains would reach speeds of 180 mph (290 km/h), and passengers would need to pass through immigration (or check in) only once. A 2018 proposal for a high-speed railway link to Heathrow, HS4Air, is currently being considered by the DfT. The proposal is part of a scheme to link the High Speed 1 and High Speed 2 railway lines and connect regional cities in Britain to the Channel Tunnel. The DfT will respond to the HS4Air plans in the autumn of 2018. On 1 July 2015, the Airports Commission submitted their final report, recommending the expansion of Heathrow Airport as opposed to Gatwick. Whilst the commission recognised Gatwick's benefits and relatively less environmental consequences than Heathrow, they felt the economic benefits of Gatwick vs. Heathrow were not as great, nor as broad-ranging. Gatwick disputed the findings. 15 September 1936 A British Airways Ltd de Havilland DH 86 on a night mail flight to Germany crashed on takeoff, killing the airline's chief pilot and two crew members. November 1936 A British Airways Ltd Fokker F 12 crashed in a wood 4.5 miles (7.2 km) south of Gatwick on its final approach to the airport under a low ceiling in poor visibility, killing both pilots and seriously injuring the flight engineer. 17 February 1959 A Turkish Airlines Vickers Viscount 794D (registration: TC-SEV) on an international charter flight crashed in heavy fog at Newdigate, Surrey, on its approach to Gatwick after striking trees. Fourteen of the 24 on board died, and Turkish Prime Minister Adnan Menderes was amongst the survivors. 5 January 1969 A Boeing 727-113C (registration: YA-FAR) operating flight 701 of Ariana Afghan Airlines arriving from Frankfurt Airport, Germany, crashed into a house in Fernhill (near Horley, Surrey) in low visibility. The flaps were not extended to maintain flight at final-approach speed. Forty-eight of the 62 on board died, in addition to two on the ground. 28 January 1972 A British Caledonian Vickers VC10-1109 (registration: G-ARTA) with no passengers aboard sustained severe structural damage as a result of a hard landing at Gatwick at the end of a short ferry flight from Heathrow, where the aircraft had been diverted due to fog at Gatwick. After touching down on runway 08 and applying spoilers and reverse thrust, the aircraft became airborne again, bounced twice and landed heavily. This resulted in a burst front wheel tyre, a separated wheel and a crumpled fuselage (immediately in front of and behind the wings). A survey of the aircraft's damage revealed that its airframe was bent out of shape, requiring extensive repairs to be restored to airworthiness. Since the repairs were not cost-effective, the airline's management decided to cannibalise the aircraft for spare parts before scrapping it at Gatwick in 1975. 20 July 1975 A British Island Airways (BIA) Handley Page Dart Herald 201 (registration: G-APWF) was involved in a runway accident while departing on a scheduled flight to Guernsey. The aircraft lifted off from runway 26 after a ground run of 2,490 feet (760 m), and appeared airborne for 411 ft (125 m) (with its landing gear retracting), before the rear underside of the fuselage settled back onto the runway and brought the aircraft to a stop. An investigation concluded that the landing gear was retracted before the aircraft had become established in a climb and the flap setting and takeoff speed were incorrect. Although the aircraft incurred substantial damage, none of the 45 occupants were hurt. 19-21 December 2018 Major disruption to the airport was caused by a drone flying near the runway, which was shut for about six hours on the 19th. The airport reopened at 03:01 the next morning until another sighting forced it to close again about 45 minutes later. As of 00:15 on the 21st, the airport was still closed with about 110,000 passengers and 760 flights affected. Officials called the drone flying a "deliberate act of disruption", but did not classify it as terrorism. The army were deployed to assist police in ending the incident. The runway reopened with limited capacity at around 06:00 on the 21st. There was another suspension of flights from 17:10 to 18:23 on the 21st. Later that day a man and a woman were arrested in connection with the incident; they were released without charge on 23 December with Sussex Police saying that they "are no longer suspects". ^ Gatwick has two runways, however the proximity to each other prevents simultaneous operation of both runways meaning only one runway can be used at any one time. ^ a b c "London Gatwick EGKK". Nats-uk.ead-it.com. Retrieved 15 August 2010. ^ a b c "Gatwick's busiest ever December closes record-breaking year as 45.6m passengers travel through in 2017". 12 January 2018. Archived from the original on 17 January 2018. Retrieved 13 January 2018. ^ "Just where are our airports?". Channel 4 News. 18 August 2009. Archived from the original on 21 August 2009. Retrieved 15 August 2010. ^ "At a glance". Gatwick Airport. 2014. Retrieved 11 February 2014. ^ a b V, Manju (13 May 2017). "Now, Mumbai world's busiest airport with only one runway". The Times of India. Retrieved 13 May 2017. ^ "Facts and Stats". Gatwick Airport. 2014. Archived from the original on 29 August 2013. Retrieved 11 February 2014. ^ a b c "Gatwick long-haul traffic grows in December as 46.1m passengers travel through in 2018". 16 January 2019. Retrieved 19 January 2019. ^ Smith, Oliver. "The statistics that show how Heathrow is losing its 'megahub' status". The Telegraph. Retrieved 2018-12-31. ^ Alan Powers (1992). In the Line of Development: FRS Yorke, E Rosenberg and CS Mardall to YRM, 19301992. RIBA Heinz Gallery. ISBN 1-872911-20-X. ^ "easyJet's biggest base at London Gatwick has 50 aircraft and almost 100 routes; Spain remains #1 market in summer (> Airline Analysis)". Anna.Aero. 12 August 2012. Retrieved 4 February 2017. ^ "British Airports Authority in Business, Air Transport ..." Flight International. 14 April 1966. p. 584. Retrieved 15 August 2010. ^ "History". Gatwick Airport. 2014. Archived from the original on 22 February 2014. Retrieved 11 February 2014. ^ "Bermuda 2 initialled, Air Transport". Flight International. 2 July 1977. p. 5. Retrieved 15 August 2010. ^ "US Airways Announces Schedule for Charlotte to London Heathrow Service and Opens Flights for Sale". US Airways. 17 December 2012. Retrieved 18 December 2012. ^ "Braniff History Braniff History Time Line: 1978". clippedb.org (The Association of Former Braniff Flight Attendants). Archived from the original on 2 June 2013. Retrieved 18 December 2012. ^ "BAA agrees Gatwick airport sale". BBC News. 21 October 2009. Retrieved 11 February 2014. ^ Fenton, Susan; Roumeliotis, Greg (5 February 2010). "Abu Dhabi wealth fund buys into Gatwick Airport". Reuters. Retrieved 11 February 2015. ^ "Gatwick Airport News: GIP to replace bank debt with bonds". Gatwick-Airport-uk.info. 24 February 2010. Archived from the original on 18 July 2011. Retrieved 15 August 2010. ^ Christie, Jim (15 June 2010). "Calpers acquires 12.7 percent stake in Gatwick Airport". REUTERSUK. Retrieved 15 August 2010. ^ "Future Fund gets Gatwick go-ahead". Financial Times. 21 December 2010. Retrieved 21 December 2010. ^ "Ivy Holdco Limited". Bloomberg. Retrieved 30 September 2017. ^ "IVY HOLDCO LIMITED, Annual Report 2017" (PDF). ^ Kollewe, Julia (2018-12-27). "Gatwick airport: majority stake sold to French group". The Guardian. ISSN 0261-3077. Retrieved 2018-12-27. ^ "French firm to control Gatwick Airport". BBC News. 2018-12-27. Retrieved 2018-12-27. ^ "V Room The new Lounge at Gatwick". Virgin Atlantic. Retrieved 11 February 2014. ^ Caswell, Mark (21 December 2016). "Virgin Holidays unveils new Gatwick v-room (> News)". Business Traveller. Retrieved 4 February 2017. ^ "Bus Services to CAA Safety Regulation Group, Aviation House Archived 1 September 2012 at the Wayback Machine". Civil Aviation Authority. Retrieved 9 September 2010. "Aviation House South Area Gatwick Airport RH6 0YR"
^ "Regions". WesternGeco. 2014. Archived from the original on 18 October 2011. Retrieved 11 February 2014. ^ "Europe/Africa/Russia". WesternGeco. 2014. Archived from the original on 21 February 2014. Retrieved 11 February 2014. ^ a b Eade, Christine. "The market in minutes Sussex." Property Week. 8 June 2007. Retrieved 12 February 2011. ^ "Investor Contacts". (Archive) Fastjet. Retrieved 7 May 2013. "Registered Office and Head Office fastjet Plc Suite 2C First Point Buckingham Gate Gatwick Airport RH6 0NT"
^ "Gatwick Airport Consultative Committee" (PDF). Retrieved 15 August 2010. ^ "Giant barcodes at UK airport to lead visitors on "Discovery Tour"". The Next Web. 4 November 2010. Retrieved 5 May 2011. ^ "Redefining airport hubs: (Self)-connectivity: the next vital piece in the industry's advancement Gatwick Airport is another example where self-connection matters". CAPA Centre for Aviation. 29 May 2015. Retrieved 6 June 2015. ^ "GTMC: Gatwick no longer 'bucket-and-spade airport'". TTG Digital. 5 June 2014. Archived from the original on 7 June 2014. Retrieved 5 June 2014. ^ "GatwickConnects FAQs (> at the airport > FAQs)". Gatwick Airport. 2017. Retrieved 11 September 2017. ^ "New world-first GatwickConnects booking service launched, providing more choice and more competitive fight options (> Media Centre > Press Releases)". Gatwick Airport. 15 September 2015. Retrieved 18 September 2015. ^ a b "Gatwick Innovates To Link Its Low-Cost Airlines (> News > Breaking News)". routes online. 15 September 2015. Retrieved 18 September 2015. ^ Otley, Tom (31 December 2016). "Gatwick hopes for greater connectivity (> News > Features)". Business Traveller. Retrieved 31 December 2016. ^ "The world at your fingertips". EasyJet. 13 September 2017. Retrieved 13 September 2017. ^ Otley, Tom (13 September 2017). "Easyjet, Norwegian and Westjet to enable customers to connect at London Gatwick (> News)". Business Traveller. Retrieved 13 September 2017. ^ "easyJet extends 'Worldwide by easyJet' to seven airports and adds new connections airline partners". EasyJet. 27 March 2018. Retrieved 30 March 2018. ^ "easyJet extends 'Worldwide by easyJet' to new connections airline partner Virgin Atlantic". EasyJet. 2 October 2018. Retrieved 13 October 2018. ^ Reid, Jenni (20 November 2018). "Emirates joins Easyjet connections service (> News)". Business Traveller. Panacea Media Limited. Retrieved 1 December 2018. ^ Reid, Jenni (22 January 2019). "Cathay Pacific joins Worldwide by Easyjet (> News)". Business Traveller. Panacea Media Limited. Retrieved 26 January 2019. ^ a b c "Gatwick runway deal agreed, Air Transport". Flight International. 25 August 1979. p. 569. Retrieved 15 August 2010. ^ a b c "BAA reveals Gatwick expansion plans, Air Transport". Flight International. 8 September 1979. p. 757. Retrieved 15 August 2010. ^ "History 1958". Gatwick Aviation Society website. Retrieved 15 August 2010. ^ "Airport second runway 'by the back door'". BBC News. 15 October 2018. ^ "Gatwick floats back-up runway for single-aisle departures". Flight Global. 18 October 2018. Retrieved 18 October 2018. ^ "NATS London Gatwick Aerodrome Approach Charts". Nats-uk.ead-it.com. Retrieved 15 August 2010. ^ BAA Gatwick. "Flight Evaluation Report 2006/07" (PDF). Archived from the original (PDF) on 27 February 2008. Retrieved 26 January 2008. ^ "Tighter regulation". Gatwick Airport. Retrieved 11 February 2015. ^ "Night noise". Gatwick Airport. Archived from the original on 22 February 2014. Retrieved 11 February 2014. ^ "Illegal immigrant centre opened". BBC News. 18 March 2009. Retrieved 12 February 2014. ^ "Our vision for Gatwick, 1.12, 1 Introduction, Gatwick Interim Master Plan" (PDF). October 2006. p. 7. Retrieved 15 August 2010. ^ "London airports and a new runway: Heathrow the business champion but the biggest growth is elsewhere". CAPA Centre for Aviation. 21 October 2016. Retrieved 23 October 2016. ^ "Full year results analyst and investor presentation" (PDF) (Press release). EasyJet. 17 November 2015. Archived from the original (PDF) on 21 November 2015. Retrieved 20 November 2015. ^ a b "easyJet confirms move to single terminal at London Gatwick (> Media > News)". EasyJet. 23 January 2015. Archived from the original on 24 January 2015. Retrieved 24 January 2015. ^ "2011 easyJet launches first route to Seville" (Press release). EasyJet. 15 April 2011. Retrieved 15 April 2011. ^ "Gatwick facts & stats Destinations and airlines". Gatwick Airport. Archived from the original on 24 November 2012. Retrieved 30 November 2012. ^ "IAG and Norwegian Air begin to tango: Norwegian is number three and BA number two at London Gatwick". CAPA Centre for Aviation. 24 April 2018. Retrieved 2 June 2018. ^ a b "Gatwick by numbers  (> Business & Community > About Gatwick > Company Information)". Gatwick Airport. December 2016. Retrieved 10 March 2017. ^ Caswell, Mark (20 April 2017). "British Airways Gatwick traffic tops six million passengers (> News)". Business Traveller. Retrieved 20 April 2017. ^ a b Maslen, Richard (20 April 2017). "Norwegian adds first Asian market to London long-haul network (> News > Breaking News)". routesonline. Retrieved 22 April 2017. ^ "Norwegian Air part 1 A second UK long haul base at Edinburgh. Matches Virgin on Gatwick-US seats: Gatwick still dominates Norwegian's UK operation (Table: London Gatwick Airport: airlines by share of international seats, week of 29-May-2017)". CAPA Centre for Aviation. 9 January 2017. Retrieved 9 January 2017. ^ "Heathrow or Gatwick? The Battle of London: British Airways and easyJet dominate ... Top 15 airlines at Gatwick in 2014". anna.aero. 21 January 2015. Retrieved 24 January 2015. ^ "Gatwick by numbers  (> Business & Community > About Gatwick > Company Information)". Gatwick Airport. December 2016. Retrieved 10 March 2017. ^ a b "Aer Lingus to set up base at Gatwick". Financial Times. 19 December 2008. Retrieved 15 August 2010. ^ a b "British Airways: the parental favourite gets new toys, but still has homework to do BA's decline at Gatwick". CAPA Centre for Aviation. 24 May 2013. Retrieved 24 May 2013. ^ a b "EasyJet lassos London Gatwick and Luton airports with long-term deals: EasyJet's negotiating power at Gatwick is stronger than ever". CAPA Centre for Aviation. 2 April 2014. Retrieved 4 April 2014. ^ "Europe by EasyJet: 2012 Investor Day (Network Development and Optimisation: Strong slot position at key airports Summer '12 Gatwick departures 0600-0855, p. 20)" (PDF). easyjet. 31 January 2012. Retrieved 4 February 2012. ^ "Flybe welcomes sale of London Gatwick". Easier.com. 2 October 2008. Retrieved 15 August 2010. ^ "Flybe Group Annual Report 2011/12 Business highlights: Airport policy, p. 9" (PDF). flybe.com. 11 June 2012. Retrieved 12 June 2012. ^ "Flybe Announces Departure From London Gatwick Airport ... Airline confirms it will maintain all Gatwick services until March 29, 2014". Flybe. 23 May 2013. Retrieved 24 May 2013. ^ Strydom, Martin (23 May 2013). "Flybe sells Gatwick slots to EasyJet for £20m". The Telegraph. Retrieved 12 February 2014. ^ "EasyJet works the Gatwick slot machine as Flybe cashes out: Flybe has less than half the average number of passengers per ATM at Gatwick Seats per ATM at London Gatwick". CAPA Centre for Aviation. 31 May 2013. Retrieved 31 May 2013. ^ "Gatwick welcomes funding deal for Cornwall to London air link (> Media Centre > News)". Flybe. 27 October 2014. Archived from the original on 9 November 2014. Retrieved 9 November 2014. ^ "AA ends Gatwick operations". Institute of Commercial Management. 17 March 2008. Archived from the original on 6 October 2011. Retrieved 15 August 2010. ^ "Small decline in passenger numbers at Gatwick in January". London Gatwick Airport. 11 February 2013. Archived from the original on 11 April 2013. Retrieved 15 February 2013. ^ "Gatwick goes after the business traveller (> News)". Business Traveller. 24 November 2011. Retrieved 11 May 2012. ^ "WestJet to Launch Service to LondonGatwick". Huffington Post Canada. 16 June 2015. Retrieved 18 June 2015. ^ "Air Canada Adds Lyon, LondonGatwick to its Growing Global Network". CNW Group. PR Newswire. 25 June 2015. Archived from the original on 26 June 2015. Retrieved 25 June 2015. ^ "Cityplacegatwick." City Place Gatwick. Retrieved 12 February 2011. ^ "Master Plan." City Place Gatwick. Retrieved 12 February 2011. ^ "Modern Airport Features of Gatwick, London's Latest Terminal: Rational Building Layout: Ground and Air Traffic Control: Ancillary Services". Flight. 4 June 1936. p. 602. Retrieved 12 July 2011. ^ "Modern Airport Features of Gatwick, ..." Flight. 4 June 1936. p. 603. Retrieved 12 July 2011. ^ "Modern Airport Features of Gatwick, ..." Flight. 4 June 1936. p. 604. Retrieved 12 July 2011. ^ "MEPC lands BT Workstyle pre-let at aerodrome." Property Week. 17 March 2000. Retrieved 12 February 2011. "Signing the pre-let caps a busy week for BT. 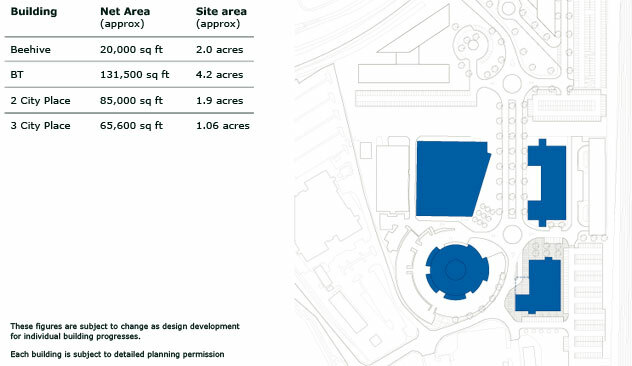 It has also pre-let 14,000 sq m (150,000 sq ft) at BAA Lynton's 46,500 sq m (500,000 sq ft) City Place scheme at Gatwick." ^ "BAH is moving ... to Aberdeen, Rotary Briefs, Business Aviation". Flight International. 2 March 1985. p. 12. Retrieved 2 June 2012. ^ "The Beehive." GB Airways. Retrieved 19 May 2009. ^ "British Caledonian A Tribute: The Crewroom Notices". www.british-caledonian.com. 2 June 2012. Archived from the original on 18 April 2012. Retrieved 9 June 2012. ^ "Air Commerce ..., Up to date with Caledonian". Flight International: 121. 25 January 1962. Retrieved 9 June 2012. ^ "World Airline Directory, British Atlantic Airways". Flight International: 826. 31 March 1984. Retrieved 9 June 2012. ^ "Caledonian Takes Over B.U.A. for £7m." Evening Times. Wednesday 21 October 1970. Page 14. Retrieved from Google News on 13 February 2011. ^ "World Airline Directory." Flight International. 18 May 1972. Supplement 18. "Head Office: Gatwick Airport, Horley, Surrey, England." ^ "Air Transport ..., BUA retrenches". Flight International: 1058. 28 December 1967. ^ "World Airline Directory." Flight International. 2430 March 1999. 64. "Iain Stewart Centre, Beehive Ring Road, Gatwick Airport, Gatwick, West Sussex, RH6 OPB, UK"
^ "World Airline Directory." Flight International. 16 May 1981. 1445. "Head Office: London Gatwick Airport, Horley, Surrey, UK." ^ "World Airline Survey ..." Flight International: 564. 10 April 1969. "Head Office: Gatwick Airport, Horley. Surrey." ^ World Airline Directory. Flight International. 20 March 1975. 505. "Head Office: Gatwick Airport, Horley, Surrey." ^ "New Gatwick Aviation Museum". www.gatwick-aviation-museum.co.uk. Retrieved 29 October 2016. ^ "Airlines to operate out of single terminals at London Gatwick (> Media centre > Press releases)". Gatwick Airport. 23 January 2015. Retrieved 24 January 2015. ^ "Gatwick moves airline reshuffle to early 2017 (> News)". Business Traveller. 11 February 2016. Retrieved 20 February 2016. ^ "Some airlines have moved (> At the airport > Flying in > Some airlines are moving)". Gatwick Airport. Archived from the original on 5 February 2017. Retrieved 4 February 2017. ^ "London Gatwick service from late-Dec 2018". Routesonline. Retrieved 2018-12-27. ^ Caswell, Mark (22 September 2018). "British Airways to launch Kos route". Business Traveller. Panacea Media Limited. ^ "Easyjet kündigt Flüge von Düsseldorf nach London an" (in German). airliners.de. 4 December 2018. Retrieved 4 December 2018. ^ "easyJet launches Gatwick Jerez de la Frontera & Zadar". London Air Travel. Wordpress.com. 13 December 2018. Retrieved 15 December 2018. ^ Thomas Cook Flights Fly Thomas Cook Airlines. Thomascookairlines.com. Retrieved on 24 September 2017. ^ a b "Thomas Cook adds Cairns / Denpasar charter in NW19". RoutesOnline. RoutesOnline.com. 22 January 2019. Retrieved 22 January 2019. ^ a b c d "Flight Timetable". tui.co.uk. ^ a b Liu, Jim (26 August 2018). "TUI Airways UK schedules new South East Asia routes in W18". Routesonline. UBM (UK) Ltd.
^ a b c "Ski Holidays 2017/2018 - Get More Winter With Crystal Ski". Crystal Ski. ^ "Antalya London/Gatwick (LGW) Antalya flights are planned as 2 flights per week and will be launched as of April 04, 2019". Turkish Airlines. 12 December 2018. Retrieved 15 December 2018. ^ "Gatwick sets new global passenger record for a single runway airport, underlining expansion case". 13 January 2016. Retrieved 15 January 2016. ^ Calder, Simon (23 April 2016). "Gatwick gears up for the big switch". The Independent. Retrieved 11 May 2016. ^ "Norwegian strengthens London Gatwick & Singapore Changi LCC hub position: long haul low cost Part 2 Gatwick and Changi are both major LCC hubs". CAPA Centre for Aviation. 27 April 2017. Retrieved 29 April 2017. ^ House of Commons Transport Committee (February 2008). The Future of BAA: Fourth Report of Session 200708 (Report). The Stationery Office. Ev. 112. ISBN 978-0-215-51413-4. ^ "Airport Profile: Brief History". Ukaccs.info. Retrieved 15 August 2010. ^ "Aircraft and passenger traffic data from UK airports". UK Civil Aviation Authority. 11 March 2017. Retrieved 11 March 2016. ^ "Access Gatwick" (PDF). Gatwick Airport. 2012. Archived from the original (PDF) on 22 February 2014. Retrieved 12 February 2014. ^ "Travelling with contactless and Oyster between Gatwick Airport and London : Southern". www.southernrailway.com. Retrieved 4 January 2017. ^ "Gatwick and Surrey stations to accept Oyster cards and contactless payments". ITV. ^ a b Hudson, Kenneth (1984). "Airports and Airfields". Industrial history from the air. Cambridge University Press. ISBN 978-0-521-25333-8. ^ "Bombardier Signs 32 Million Euro Contract for Automated People Mover System at London Gatwick Airport, United Kingdom ; New APM Will Replace Existing Inter-Terminal Transit System Previously Supplied by Bombardier". Highbeam.com. 19 December 2007. Archived from the original on 2 November 2012. Retrieved 15 August 2010. ^ "Gatwick transit closed". UK Airport News. 29 September 2009. Archived from the original on 15 October 2009. Retrieved 30 September 2009. ^ "Press release 2010 London Gatwick we have lift on!" (Press release). Gatwick Airport. Archived from the original on 3 August 2010. Retrieved 15 August 2010. ^ "1979 Gatwick Airport runway agreement" (PDF). Gatwick Airport. Archived from the original (PDF) on 22 February 2014. Retrieved 12 February 2014. ^ a b "interim master plan (Gatwick Interim Master Plan October 2006)" (PDF). 15 August 2010. Retrieved 15 August 2010. ^ "Gatwick Airport announces second runway plan". BBC News. 23 July 2013. Retrieved 23 July 2013. ^ "Airports Commission report: Gatwick & Heathrow on shortlist for expansion". www.crawleynews.co.uk. 17 December 2013. Retrieved 18 December 2013. ^ Tute, Ryan (7 March 2018). "Firm pitches "an M25 for high-speed trains" to pass through Heathrow and Gatwick". Infrastructure Intelligence. Archived from the original on 30 July 2018. Retrieved 12 March 2018. ^ Paton, Graeme (20 July 2018). "M25-style railway takes you from Gatwick to Heathrow in 15 mins". The Times. ISSN 0140-0460. Retrieved 20 July 2018. ^ Grafton-Green, Patrick (21 July 2018). "New M25-style railway takes you from Gatwick to Heathrow in 15 minutes". Evening Standard. Archived from the original on 22 July 2018. Retrieved 22 July 2018. ^ "Airport expansion: What happens next?". BBC News. Retrieved 10 September 2015. ^ "Airports Commission's findings simply don't add up". mediacentre.gatwickairport.com. Retrieved 10 September 2015. ^ "The Gatwick Accident, Commercial Aviation". Flight. 24 September 1936. p. 327. Retrieved 13 July 2011. ^ "Gatwick and Mirabella, Commercial Aviation". Flight. 22 October 1936. p. 420. Retrieved 13 July 2011. ^ "The Crawley Accident, Commercial Aviation". Flight. 20 November 1936. p. 590. Retrieved 13 July 2011. ^ "1959: Turkish leader involved in fatal crash". BBC News. 17 February 1979. Retrieved 15 August 2010. ^ a b "Major Incidents". Surrey Constabulary History. Robert Bartlett. Archived from the original on August 2010. ^ "Ministry of Aviation Civil Aircraft Accident: Report on the Accident to Vickers Viscount 794 TC-SEV at London (Gatwick) Airport on 17 February 1959". Gatwick Aviation Society. Archived from the original on 16 December 2007. Retrieved 15 August 2010. ^ "Accident Database query Ariana Afghan Airlines". Airdisaster.com. 5 January 1969. Archived from the original on 11 August 2010. Retrieved 15 August 2010. ^ "Ariana 727 Accident Cause, World News". Flight International. 3 September 1970. p. 329. Retrieved 15 August 2010. ^ "Board of Trade Civil Aircraft Accident: Report on the Accident to Boeing 727-113C YA-FAR 1.5 miles east of London (Gatwick) Airport on 5 January 1969". Gatwick Aviation Society. Retrieved 15 August 2010. ^ "A little 'VC10'dernessIndividual Histories: G-ARTA". Vc10.net. Retrieved 15 August 2010. ^ "ASN Aircraft incident description Vickers VC-10-1109 G-ARTALondon Gatwick Airport (LGW)". Aviation-safety.net. Retrieved 15 August 2010. ^ "Report No: 4/1977. Report on the accident to Handley Page Herald Series 201, G-APWF at Gatwick Airport, 20 July 1975". UK AAIB. Retrieved 26 April 2012. ^ "Police 'could shoot down' Gatwick drone". BBC News. 20 December 2018. Retrieved 21 December 2018. ^ "Drones ground flights at Gatwick". BBC News. 20 December 2018. ^ "Gatwick Airport: Army called in amid drone chaos". BBC News. 20 December 2018. Retrieved 20 December 2018. ^ "Gatwick runway reopens after drone chaos". BBC News. 21 December 2018. Retrieved 21 December 2018. ^ "Gatwick drone arrests: two people held over disruption of airport". The Guardian. 22 December 2018. ISSN 0261-3077. Retrieved 22 December 2018. ^ "Two arrested in drone disruption at Gatwick". Mynewsdesk. Retrieved 22 December 2018. ^ Martin Evans; Izzy Lyons; Charles Hymas (23 December 2018). "Gatwick drone: Arrested couple are released without charge - as £50k reward is offered to catch culprit". The Telegraph. Retrieved 23 December 2018. King, John, with Tait, Geoff, (1980) Golden Gatwick 50 Years of Aviation, British Airports Authority. Simons, Graham M. (1999). It was nice to fly with friends! The story of Air Europe. Peterborough, UK: GMS Enterprises. ISBN 1-870384-69-5. Branson, Richard (2006). Losing my Virginity The Autobiography (2nd reprint ed.). London, UK: Virgin Books Ltd. ISBN 0-7535-1020-0. Financial Times, 26 October 2007. London, UK: UK Edition. Skyport Gatwick edition (Dixon, A., "Second runway plans to remain grounded", pp. 1, 3). Hounslow, UK. 26 February 2010. Financial Times, 10 February 2010. London, UK: UK Edition. This article based on this article: London_Gatwick_Airport from the free encyclopedia Wikipedia and work with the GNU Free Documentation License. In Wikipedia is this list of the authors .